When I was growing up, I always loved the variety of Easter candy that would appear in my basket. It usually consisted of jelly beans, chocolate eggs, the hard oval shaped eggs that were a bit hollow but had a marshmallow layer near the top, a few Cadbury eggs, a large chocolate Easter bunny, and malted milk eggs (aka Robin eggs). I must confess that the jelly beans were probably my least favorite because they were usually the cheap ones instead of a good variety such as Jelly Belly. I loved just about anything chocolate, although the bunnies did not usually have a good flavor. I always, however, enjoyed the malted milk eggs. I went to the store a day or two before Easter and purchased a bag of malted milk eggs. I didn't read the packaging very carefully, but when I tasted them, I realized there was some sort of flavor on the shell part. I really wanted plain malted milk eggs. I glanced at the package and still only saw the words "malted milk eggs." This week I was in another store and saw the Easter candy on clearance. I went over to the shopping cart that had malted milk eggs in it. To my disgust, the only variety they had were coconut flavored malted milk eggs. No regular ones at all! I came back home and took out my bag. There in tiny print were the words "ice cream flavor" down at the bottom of the bag. That explains the disgusting taste. I wish I'd just purchased a package of Reese's Cup eggs. 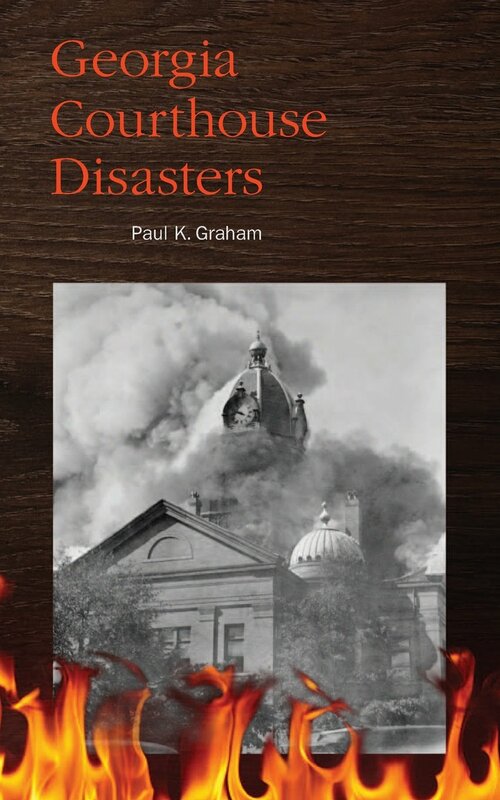 Graham, Paul K. Georgia Courthouse Disasters. Decatur, GA: The Genealogy Company, 2013. Graham has researched and documented the disasters that affected various Georgia courthouses. He tells the stories of fires, tornadoes, hurricanes, floods, and other things which affected disasters and tells whether or not there was record loss, and if so, what was lost or remained. It's a very handy reference book for anyone doing genealogical work in the state by a well-respected Georgia genealogist. Fain, Lisa. The Homesick Texan's Family Table: Lone Star Cooking from My Kitchen to Yours. Berkeley: Ten Speed Press, 2014. Lisa Fain grew up in Texas but currently resides in New York. In this volume, she takes Texas cuisine, much of it from her own family, and gives it a bit of a New York twist by adding or substituting other ingredients and by using Kosher salt instead of the salt that would be most commonly used in the Southern States. She has quite a few Tex-Mex inspired dishes as well as some with hints of barbecuing. Many of the traditional Southern desserts are also included. Each sections is prefaced by a family story. The dishes themselves either give a family story, information about an ingredient and its use in Texas, or another interesting tidbit for the reader. Recipes vary in the degree of difficulty and amount of time it would take to prepare. Persons looking for a book that will provide pure Texas recipes will want to find a different cookbook. Those who like twists on family favorites will enjoy this one. This review is based on an e-galley provided by the publisher through NetGalley with the expectation of a review.